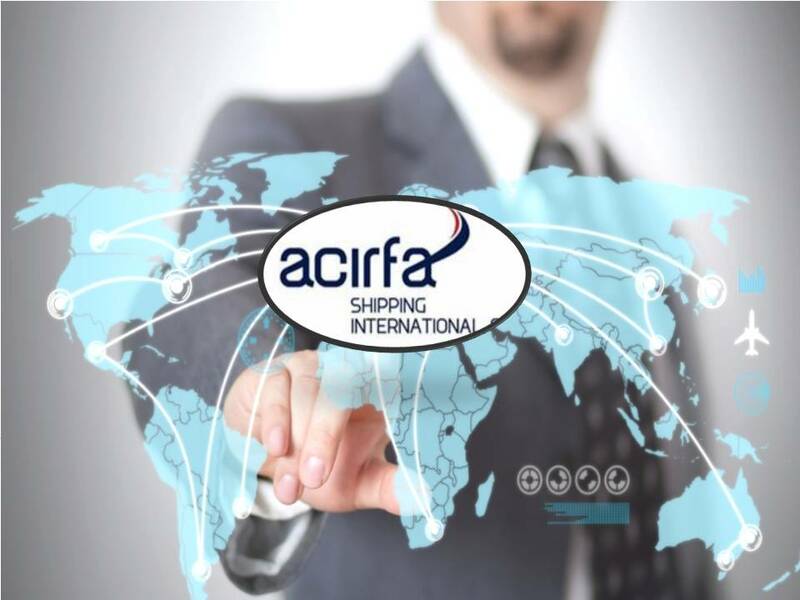 Acirfa Shipping International is Specialist in freight forwarding with reputation to handle all project cargo, Consolidation services, Specialist in RO/RO service (Trucks, Heavy Machinery, etc),Import Consolidation services, and Handling FCL/LCL shipments world-wide, Customs Clearance etc. 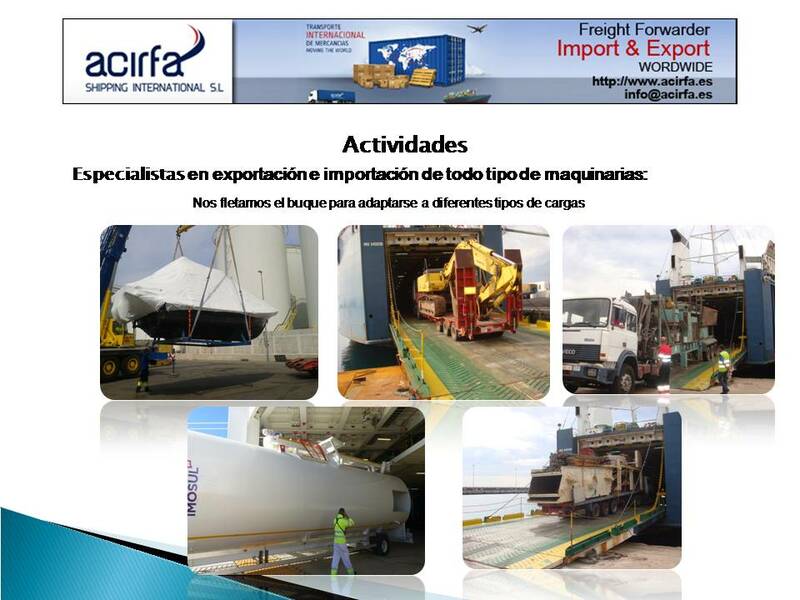 We facilitate our customer all necessary assistance in handling their shipment from the beginning to the final destination worldwide, we work with all shipping lines which make it easy for us to provide all detailed schedule and the transit time. Our offices network in Spain makes it easy for us to monitor your merchandise from any Port of Spain, processing and overseeing at each detail, considering the success and satisfaction our customers will derive when good services are provided to them, it makes our experience staff to compromise and providing all logistics assistance.